The ultimate goal of exoplanetary research is to place ourselves in the universe. Are we just the result of normal evolution? That is to say, does life tend to appear almost everywhere, which means that the emergence of intelligent life is just a matter of time. Or, on the other hand, are we unique? Something that just happens in a few places in the vast universe? This question has haunted the humankind since consciousness and for the first time in the history we are close to answering it. We are living in exciting times. When the next generation of telescopes and instruments point to the sky, we will be able to observe planetary systems as never before. Super-Earths, exotic planets, planetary systems under extreme conditions… We do not know what we are going to find, but for sure it’s going to be surprising. 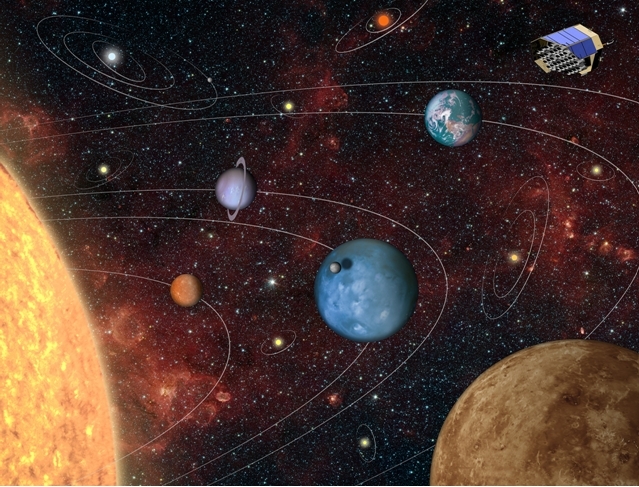 Artistic impression of the PLATO spacecraft searching for exotic exoplanetary systems. Credits: DLR (Susanne Pieth). Planet-Planet interaction and Migrations. It seems that multi-planet systems tend to have more circular orbits. This fact decreases the influence of planets on each other, resulting them being stable for very long periods of time. On the other hand, those planetary systems with planets in eccentric orbits generate a chaotic and unstable scenario where the bodies can collide and even be thrown out of the system. In addition, during the first steps of evolution after the formation process, planets can suffer so-called “migrations”. Due to this mechanism planets can evolve to outer or inner orbits; such a scenario can explain the existence of hot Jupiters. Simulation showing the evolution of the Solar System. Left: early configuration of the outer planets and planetesimal belt before the Jupiter and Saturn 2:1 resonance . Center: scattering of planetesimals into the inner Solar System after the orbital shift of Neptune (dark blue) and Uranus (light blue). Right: final configuration after ejection of planetesimals by planets. Credits: R. Gomes et al. Tidal interactions. Some of the observational techniques used to detect exoplanets are more sensitive to those planets whose orbits are close to the host star. These planets will experience significant tidal forces as a result of this proximity. The relevance of the tides in the evolution of planets in close-in orbits was apparent with the discovery of 51 Peg b, whose semi-major axis was established as only 5% of the Sun-Earth distance. Since then, the tidal interaction between host stars and close-in planets is considered to be the cause of many effects. For example, these tidal forces are generally expected to lead to the alignment of their rotation axes, synchronization of their rotation and orbital periods, a reduction in orbital ellipticity (tidal circularisation), an accompanying reduction in semi-major axis, and a conversion of orbital energy into tidal heating of the planet. This effect of tidal heating in rocky or terrestrial planets and exo-satellites may have significant implications for habitability. For example, in our Solar System, the cool satellite Europa is a rocky body covered by 150 km of water ice crust, for which the tidal heating may maintain a subsurface water ocean. Or, in the case of the Jovian satellite Io, where the extreme violence of the tides provoke intense global volcanism and rapid resurfacing, ruling out any possibility for habitability. Thus, a correct treatment of the tidal interactions is necessary to determine if the planet was/is/will be habitable, and for how long. Of special interest will be those planets in close-in orbits, classified as terrestrial planets and hosted by M stars, where the habitable zone is expected to be in the region where the tides are acting. 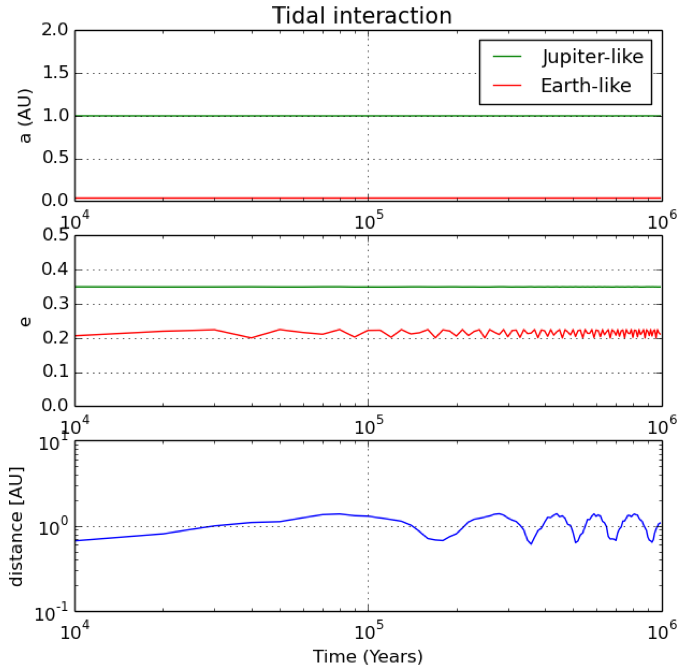 Evolution of the semimajor axis (a), eccentricity (e), and distance of a synthetic planetary system composed by a Jupiter-like and Earth-like planets in presence of tidal interactions. Credits: Francisco J. Pozuelos. Debris Disk-Planet interactions. Debris disks, with a qualitative similarity to the main asteroid belt and Kuiper belt in the Solar System, have been observed in various exoplanetary systems. These debris disks are composed of second-generation material, and their presence implies the existence of a significant planetesimal population. The impact range of these minor bodies and the planets is especially interesting for those planetary systems with planets on the habitable zone. First it is assumed that they are an important source of water and organics once the formation process is finished. On the other hand, a large impact removes any possibility for habitability. This fact was understood with the breathtaking impact of Shoemaker-Levy 9 with Jupiter in 1994, when the impact of two objects in the Solar System was observed for first time. All these studies will complement the information obtained from telescopes giving us a better idea of how planetary systems evolve. We are going to be able to determine how rare the Solar System and our planet are. 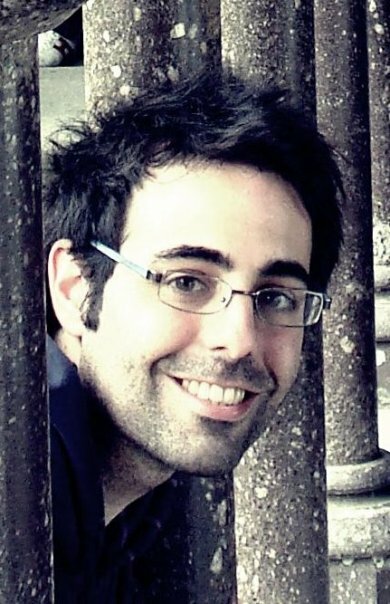 Francisco J. Pozuelos is a postdoctoral researcher at Instituto de Astrofísica de Andalucía, Spain. He finished his PhD in 2014 about the relationship between comets activity and their dynamical evolution. These studies provide unique clues to determine how the Solar System was formed, and how the gravitational interactions between minor bodies and planets have affected the current Solar System configuration. 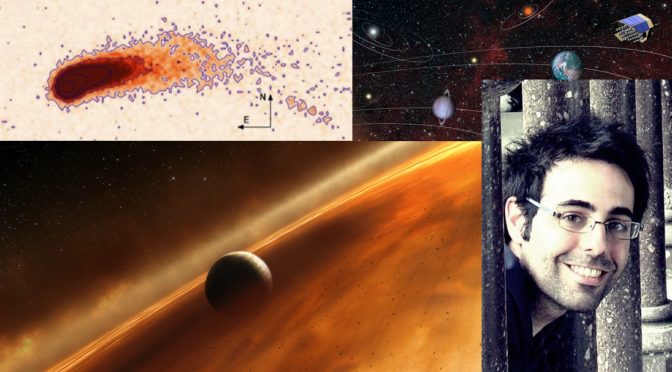 Since 2014 Pozuelos is collaborating with PLATO 2.0-ESPAÑA at the University of Granada (Spain) where he is developing computational codes to study the evolution of planetary systems, taking into account processes as such as stellar evolution, tidal interactions, and the stellar wind. La quête commence le 15 janvier 2016 !